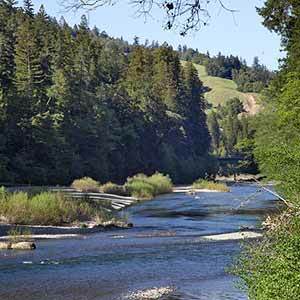 Richardson Grove is an exceptional grove of lowland redwoods on an alluvial flat by the Eel River. 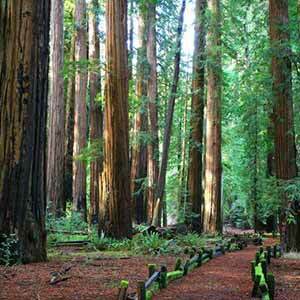 The main grove is a prototypical cathedral-like grove of tall, straight redwoods with an attractive dark-brown color. 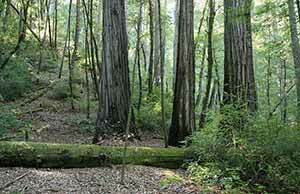 The tiny but dense redwood grove is unusually open, with few trees of other species and no understory trees. The grove is more arid-looking than Humboldt Redwoods, with little or no groundcover, but is nonetheless unusually scenic. 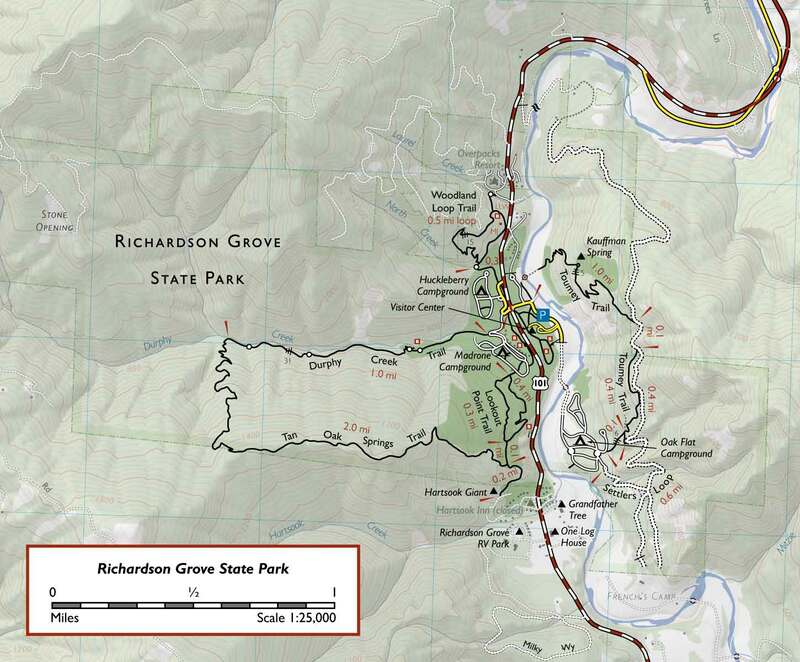 Like Humboldt Redwoods State Park, Richardson Grove has been badly abused. 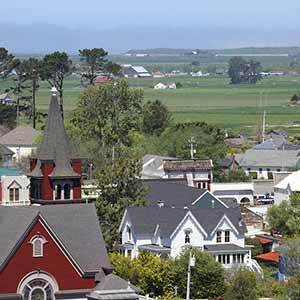 Highway 101, although only a 2-lane road at this point, runs right through the best part of the tiny grove. The highway was clearly routed for scenic effect; had it been placed 50 yards to the east or west, the damage to the grove wouldn’t have been nearly as great. 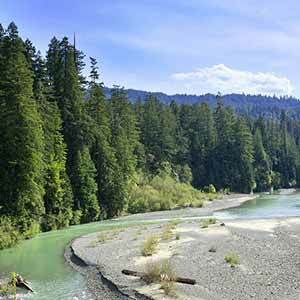 A second swath of the best redwoods has been cleared to make room for the visitor center and its two parking lots, and there’s also a large cleared area within the main grove that no longer contains any structures. 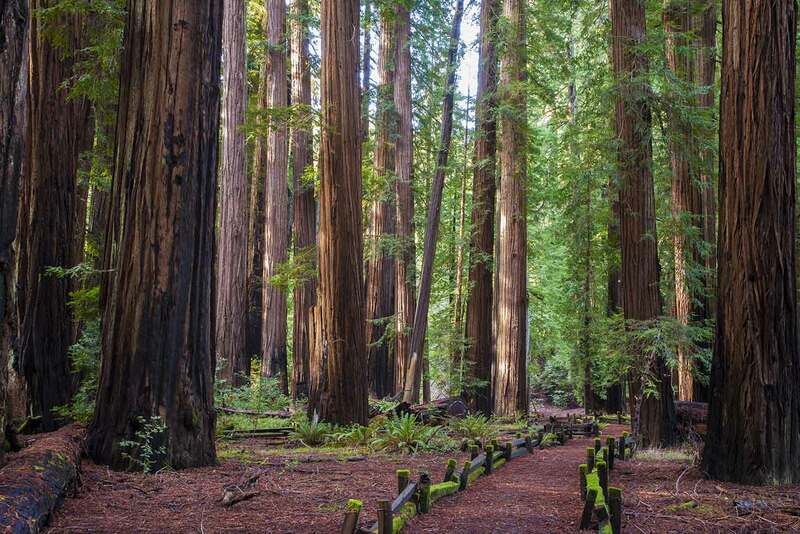 Such overdevelopment of redwood groves was common in the early 20th century, when redwood parks were though of more as resorts than natural preserves. The visitor center sits in the middle of the main grove. To its north, right next to the main parking lot, is the most impressive area: a small, cathedral-like grove of big trees with a 0.1 mile loop trail running through it. On the south side of the visitors’ center is a longer loop trail that’s less impressive. The forest on this side is dense with tanoak and lacks the cathedral-like openness found on the north side. What’s more, about a third of the loop trail runs along the edge of the grove instead of through it. Despite all the development and the thundering noise of trucks barreling by just a few yards away, the grove is still pretty nice, especially late in the afternoon when the foliage glows with yellow light. 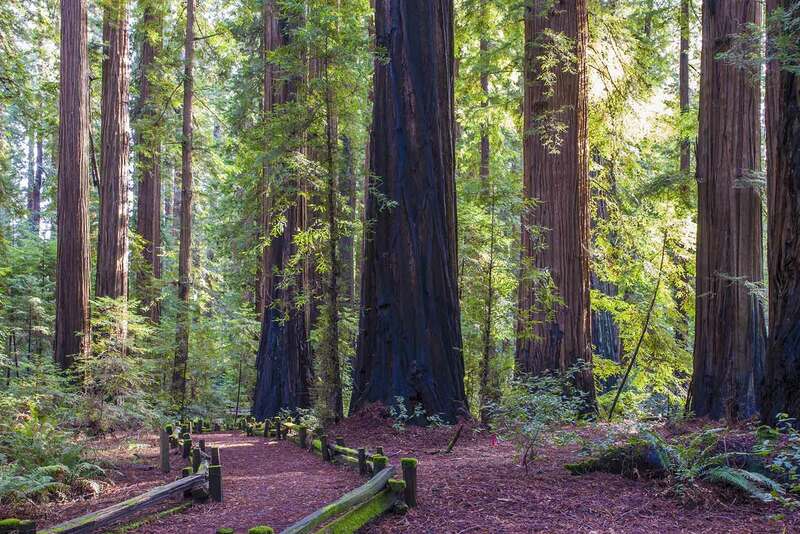 The openness of the grove and the uniform straightness of its trees give the old growth a certain nobility that even Humboldt Redwoods can’t quite match. The park has several longer trails outside the main grove, all of which seem to have been designed by someone who really likes steep hills. The Durphy Trail in particular seems to have been intended solely to inflict maximum pain. There’s no view, no scenery to speak of — just a lot of climbing. 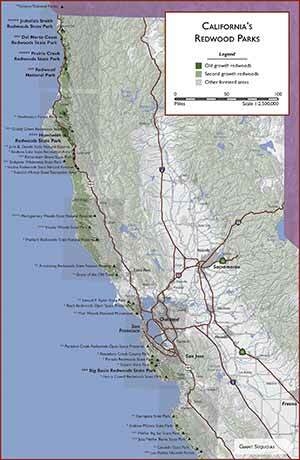 A shorter but more pleasant route is the Lookout Point loop. 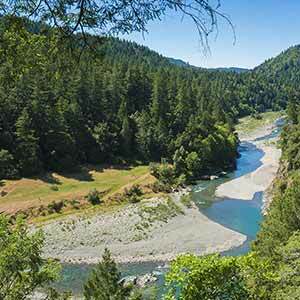 This loop trail climbs from the main lowland redwood grove to a fine upland grove. 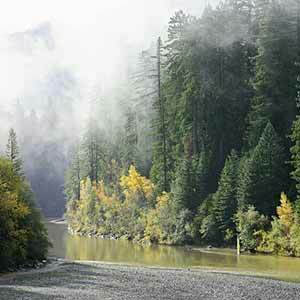 Richardson Grove is on Highway 101 just north of the Humboldt County line, 16 miles south of Humboldt Redwoods State Park and 74 miles south of Eureka. 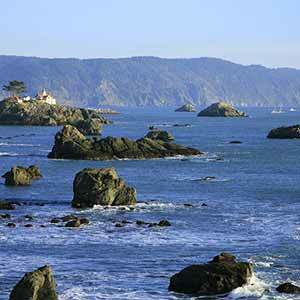 The park charges an entrance fee of $6 per car.